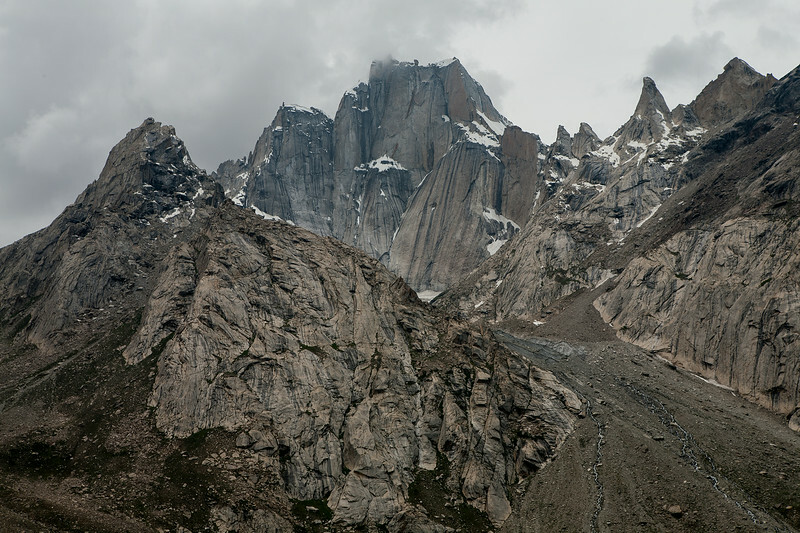 Rangdum is midway on the 250km route from Kargil to Padum, headquarter of the remote Zanskar valley. 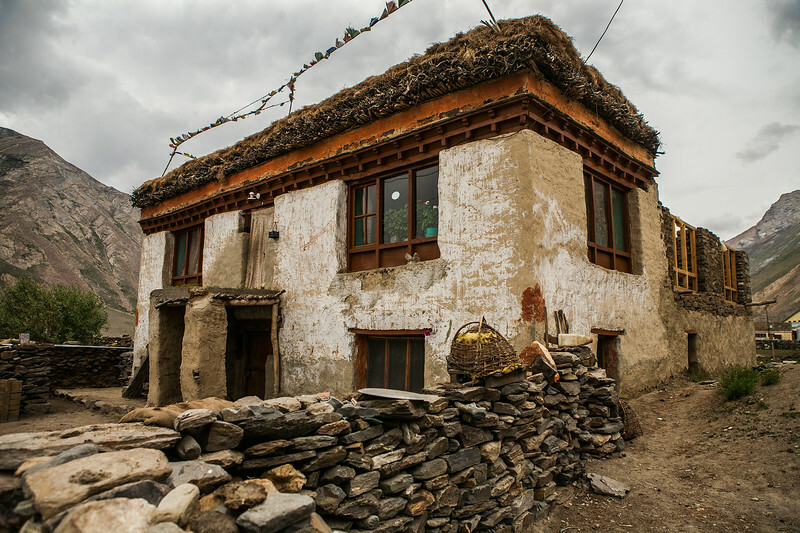 A convenient halt on this long route, it is a tiny hamlet of ten houses and a couple of food stalls and guesthouses. 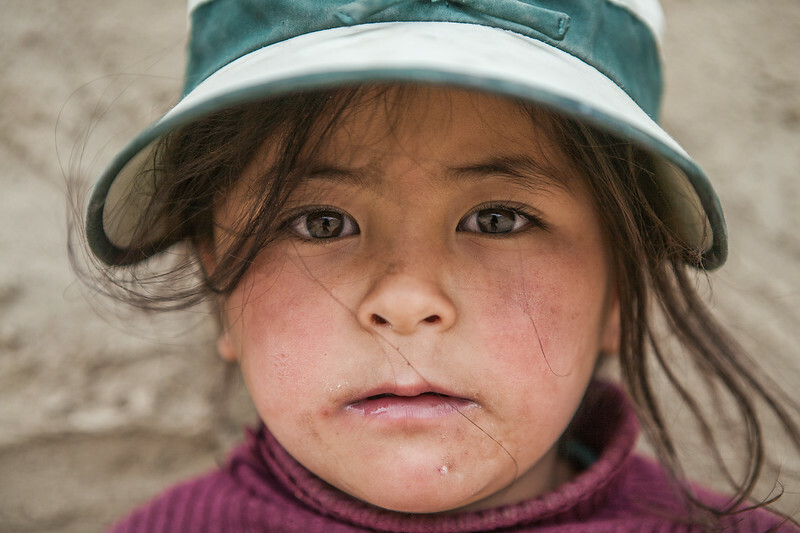 Its geographic location makes it, essentially, the definition of "in the middle of nowhere". 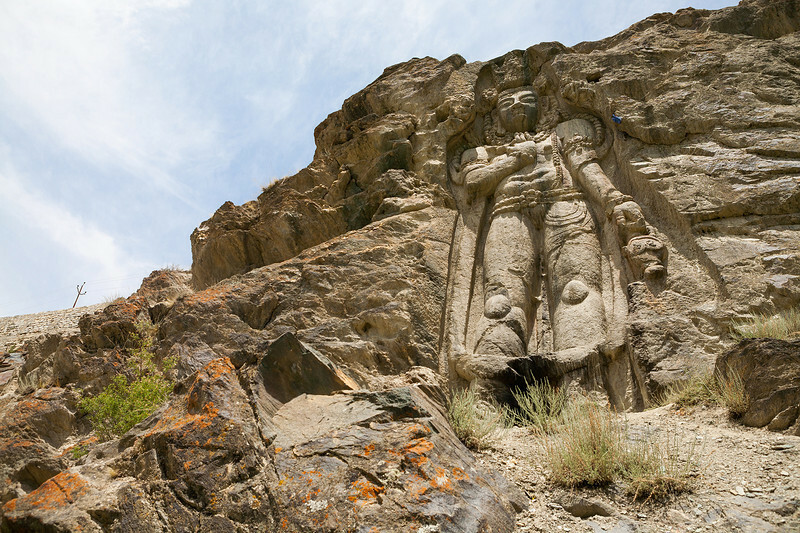 These rocks are a common sight in Zanskar and Ladakh. 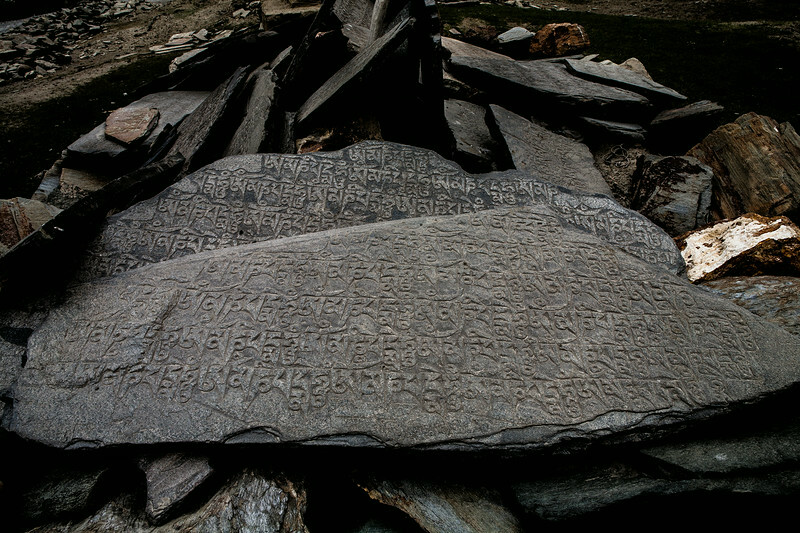 They are inscribed with Buddhist prayers in a Tibetan script and found mostly around monasteries. 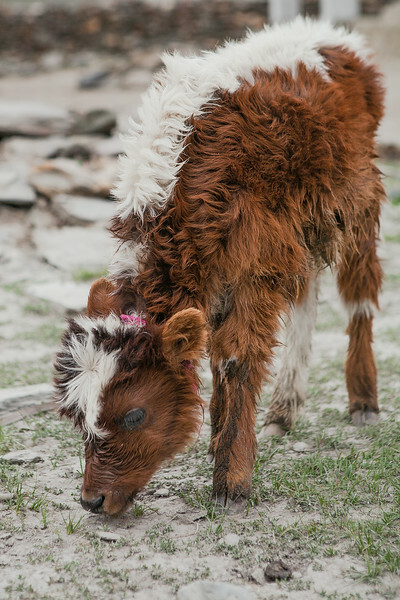 A tiny calf grazes in the open, something that can only be done in summer in Zanskar. 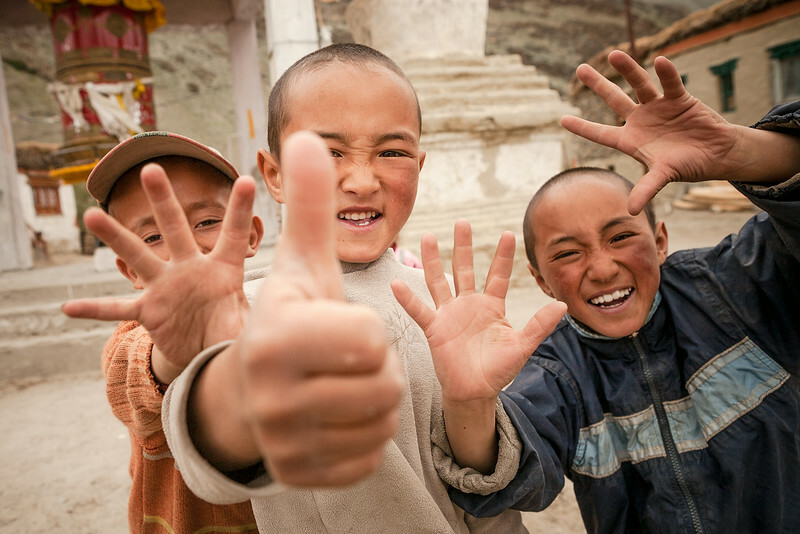 Zanskar one of the remotest valleys in India. 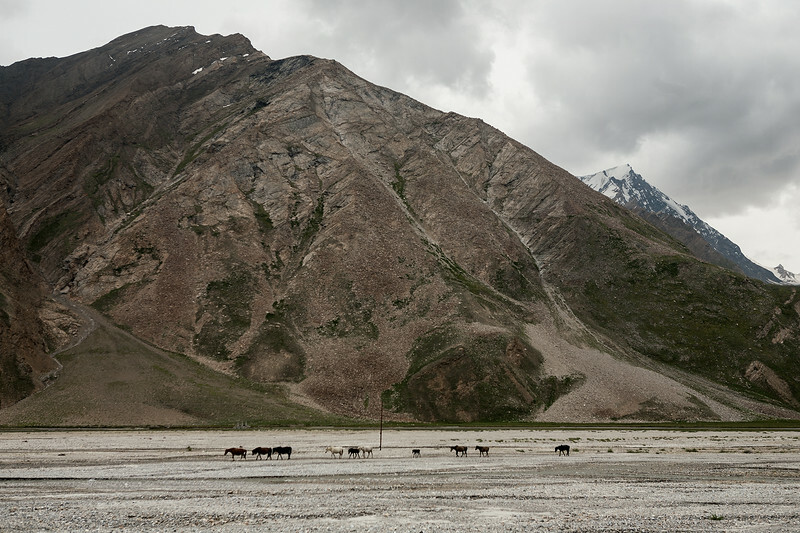 In the winter months the entire valley of Zanskar is covered in snow. Unlike in the plains, the cattle here have a thick coat of fur for some warmth. 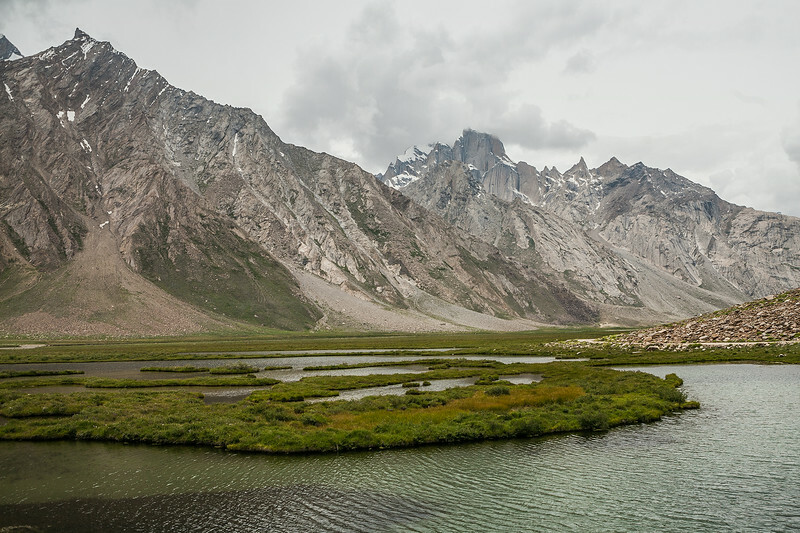 Rangdum is midway between Kargil and Padum, the headquarters of Zanskar valley. 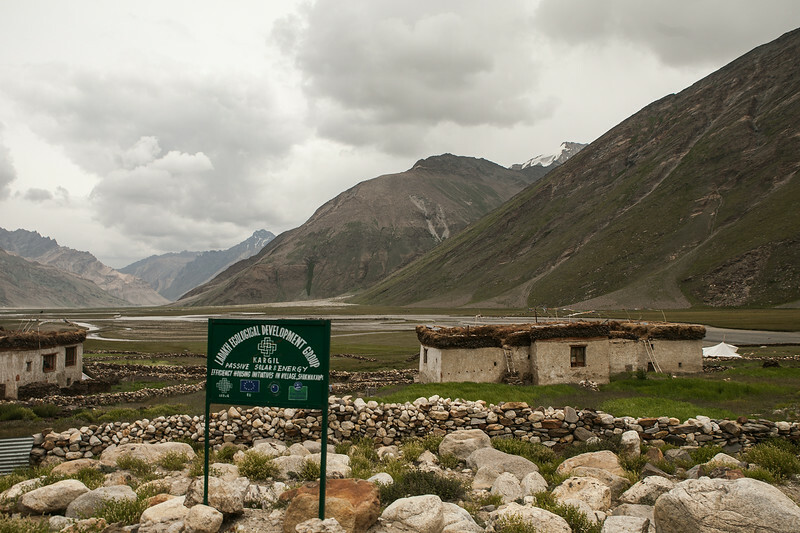 Travelers often halt for the night at Rangdum on their way to Zanskar. 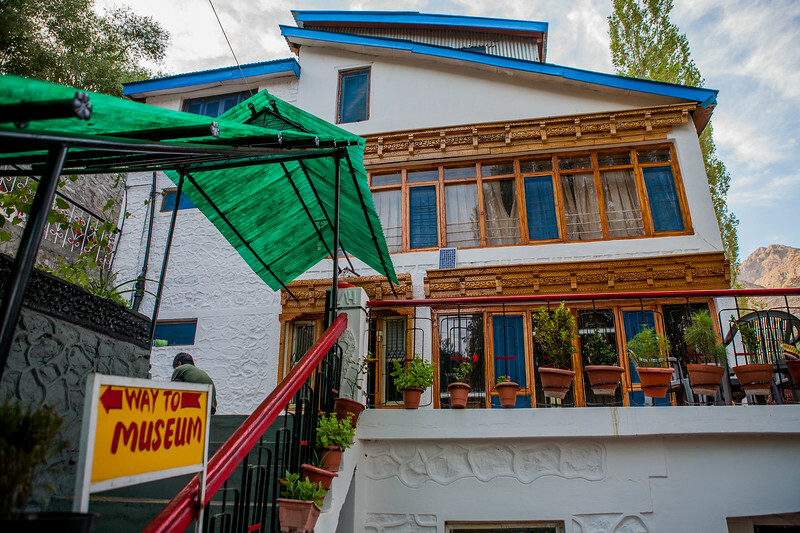 Some houses operate homestays and guest houses for these travelers. 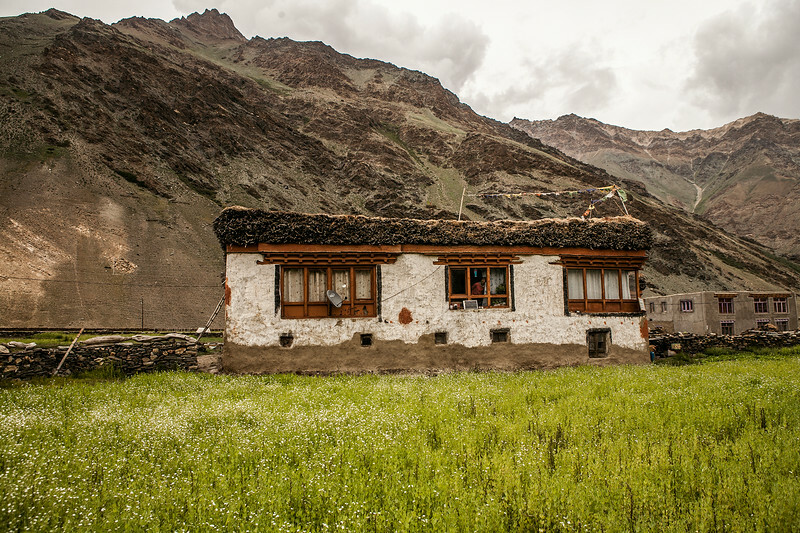 This is a typical stone houses found in the Zanskar and Ladakh regions. 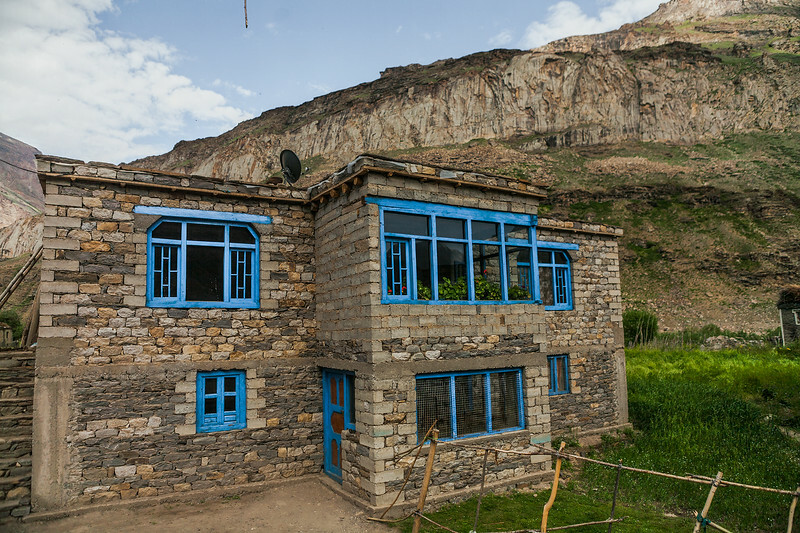 Built with flat stones stacked on top of each other, they are then coated with a layer which is a mixture of local mud, cattle dung and other things. 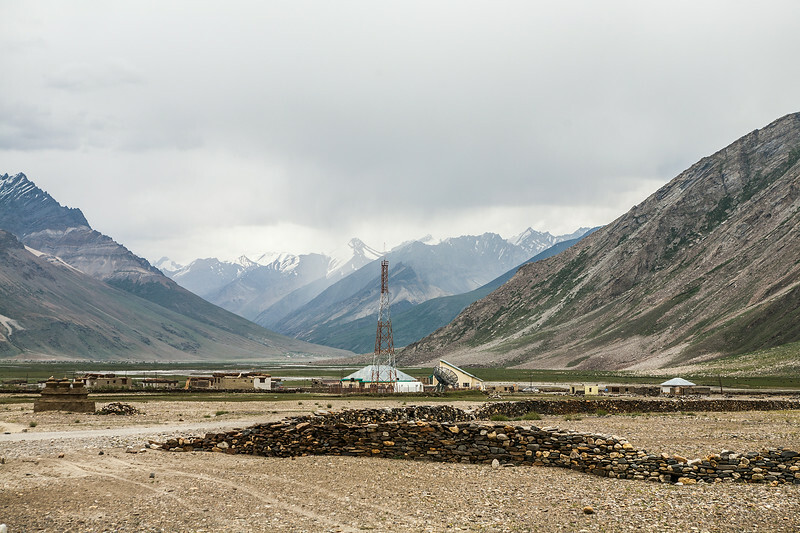 Even the remote Rangdum midway between Zanskar and Kargil is now touched by technology. 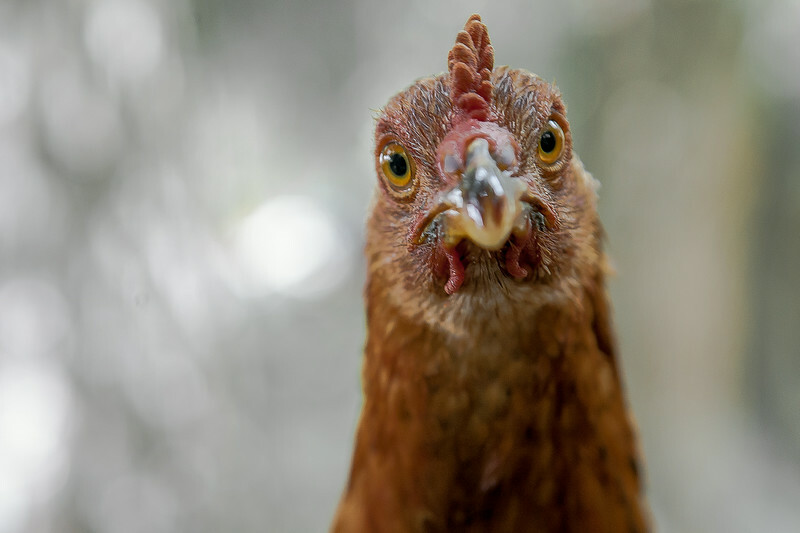 The hamlet of Rangdum brings with it some signs of life. 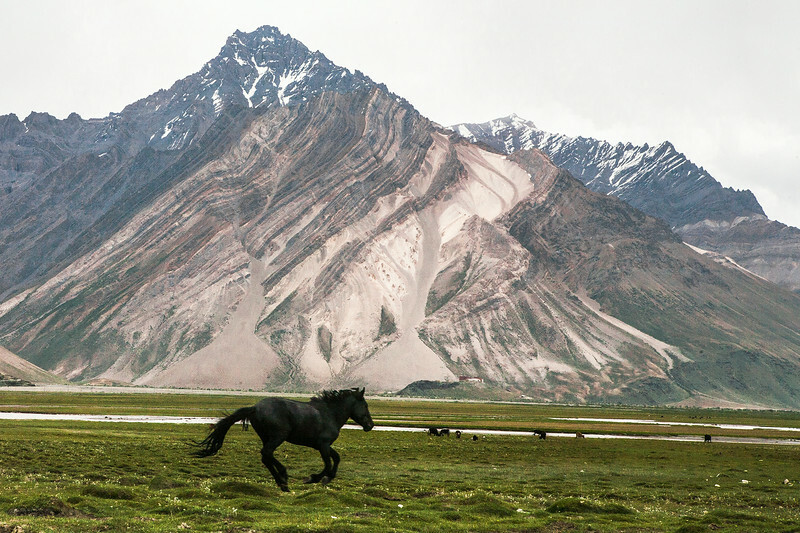 These are the Himalayan horses walking on the banks of the Suru river. 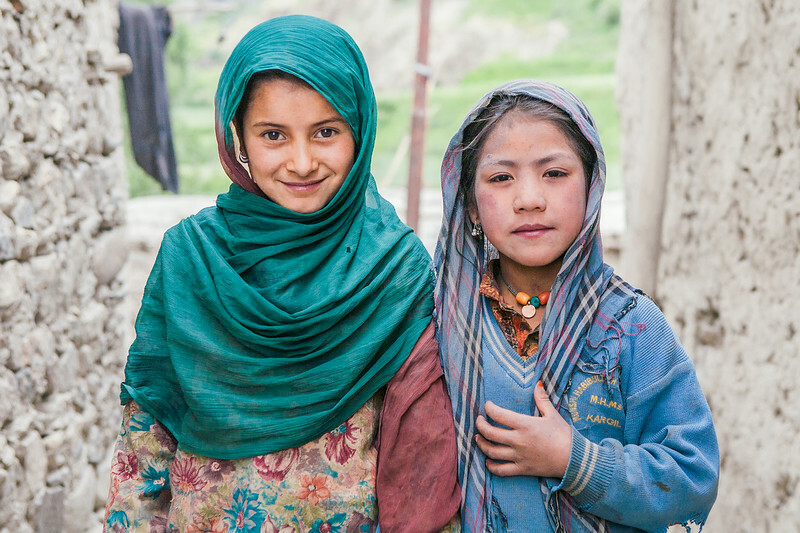 Randum is the southernmost tip of the Suru valley, the valley that separates Kargil from Zanskar, the most remote valley in India. 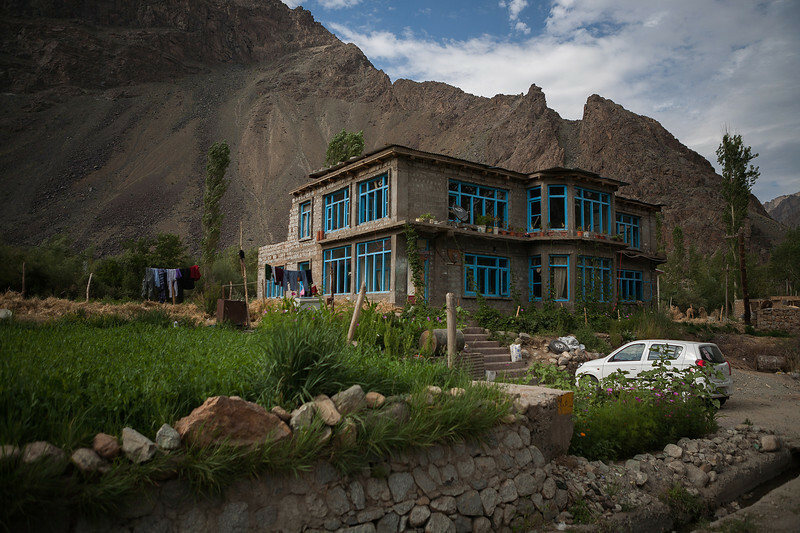 Rangdum, the southernmost tip of Suru valley is a tiny hamlet of around ten houses. 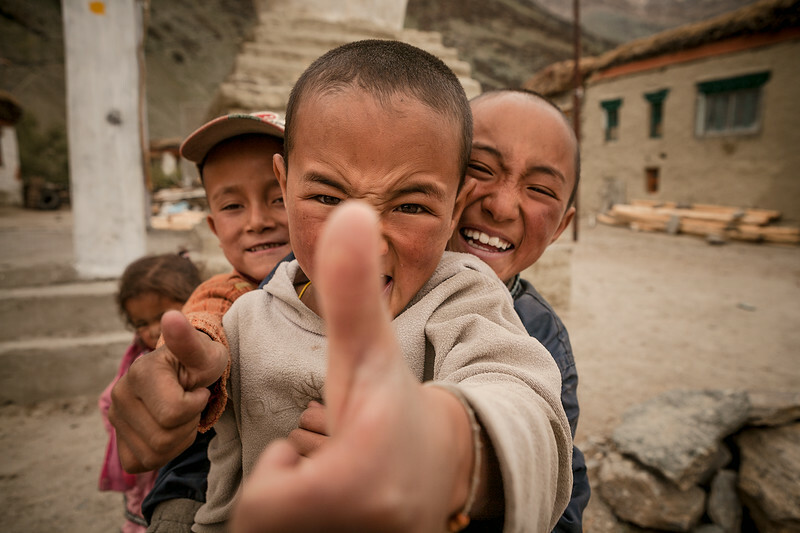 After around 50 kms of stunning landscapes, nestled in the middle of nowhere is a tiny hamlet of Rangdum. 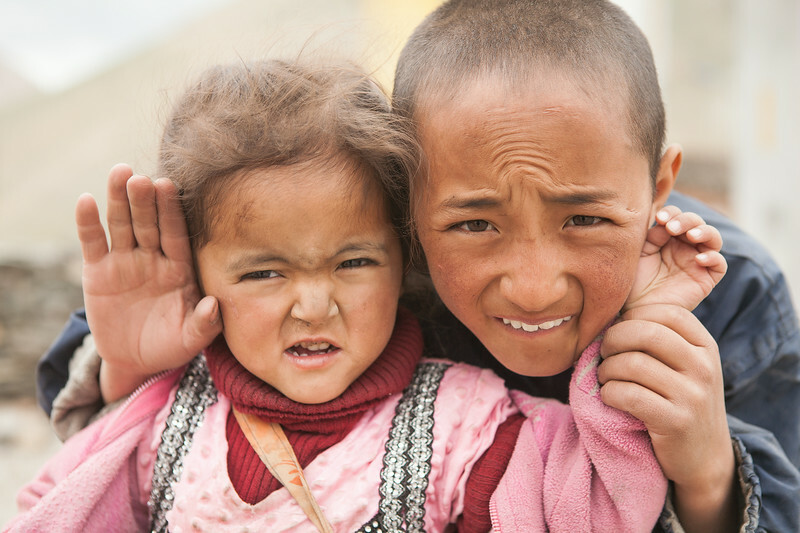 The barren mountain faces of the Greater Himalayas in Zanskar reveal ragged patterns. 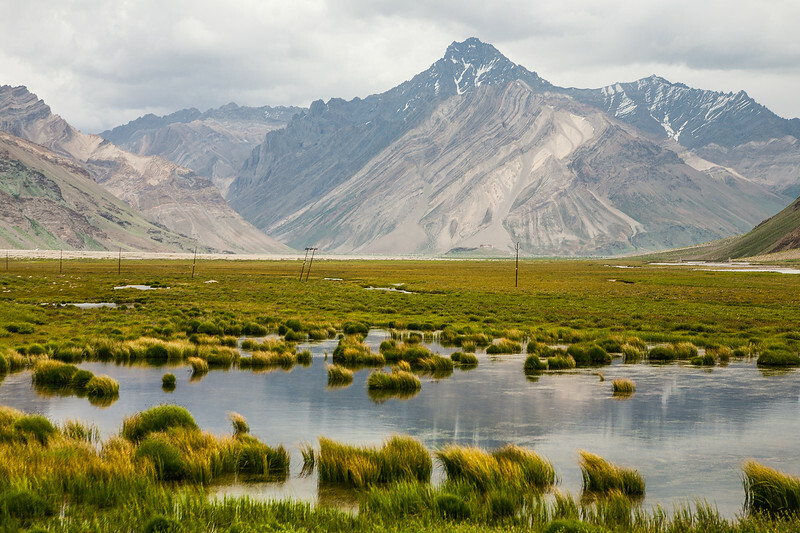 Stunning landscapes like these are part of the 250 km journey from Kargil to Zanskar. 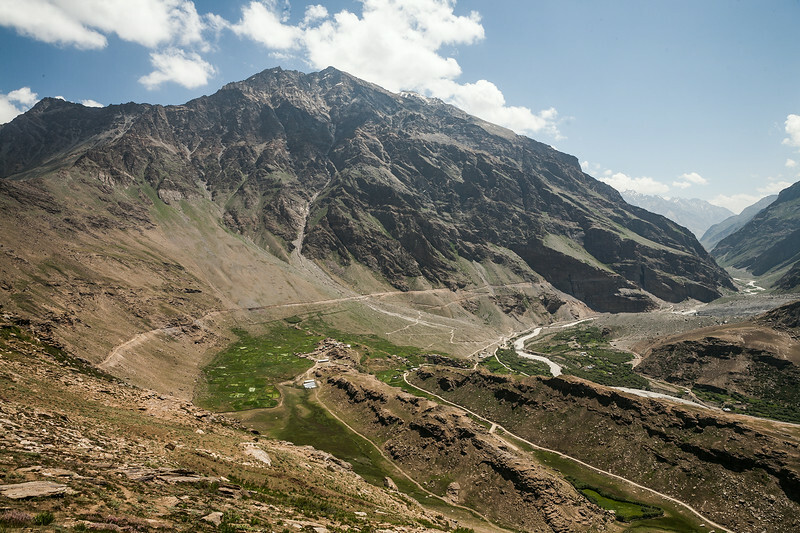 It is one of the most isolated stretches of the Himalayas in India. 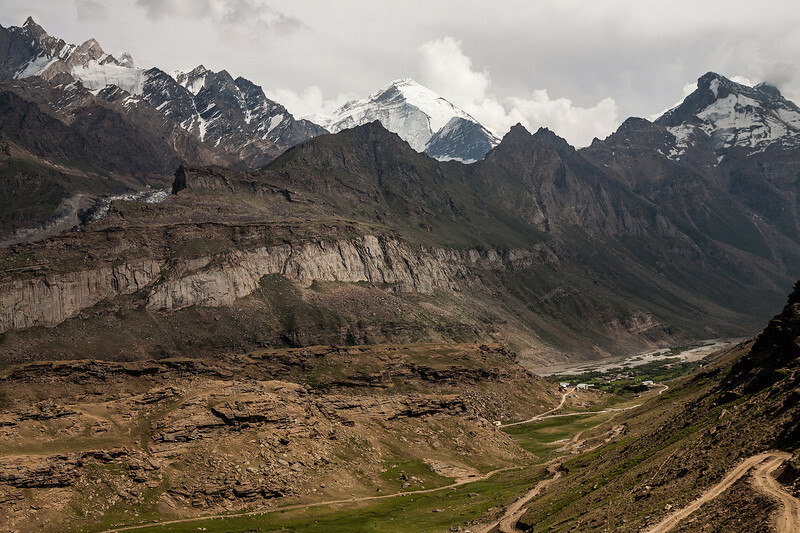 Greater Himalayan landscapes devoid of people is the characteristic landscape of the journey to Zanskar. 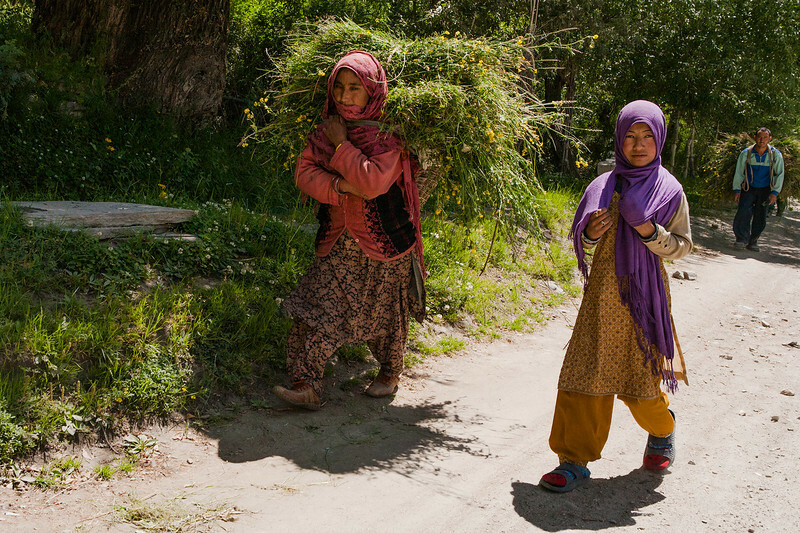 After Parkachik, the last village of Suru Valley civilisation comes to a sudden halt. 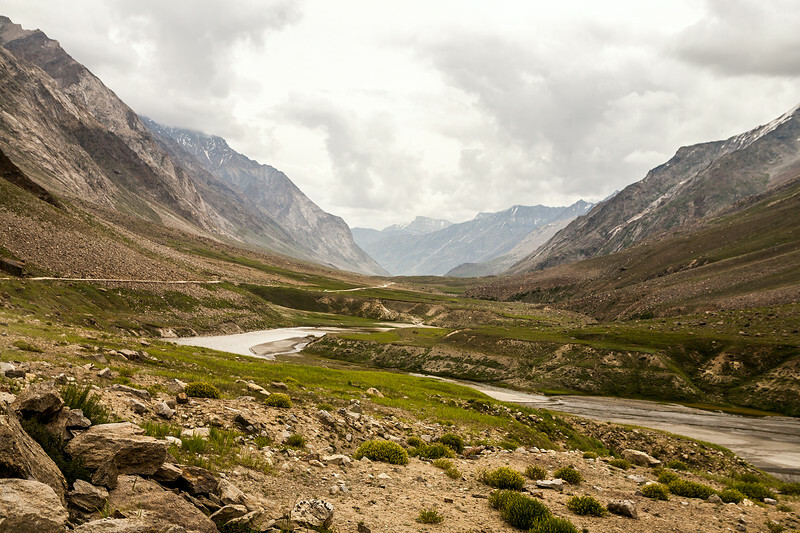 The river Suru, tributary of Indus gives you company most of the way into Zanskar. 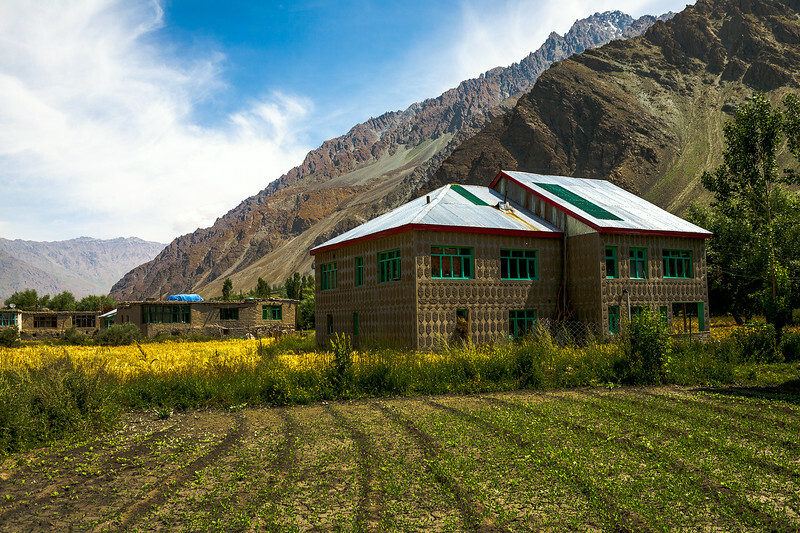 Parkachik is the last village in Suru valley. 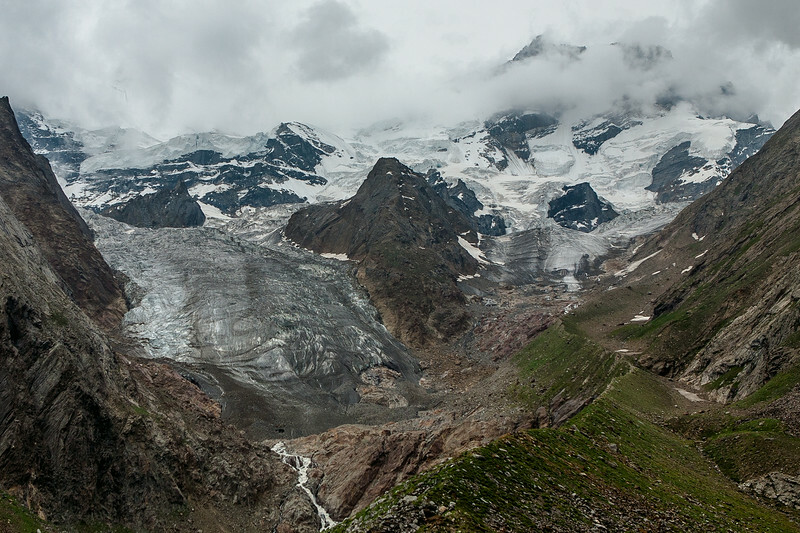 The Parkachik glacier is 1km away from the village of Parkachik. 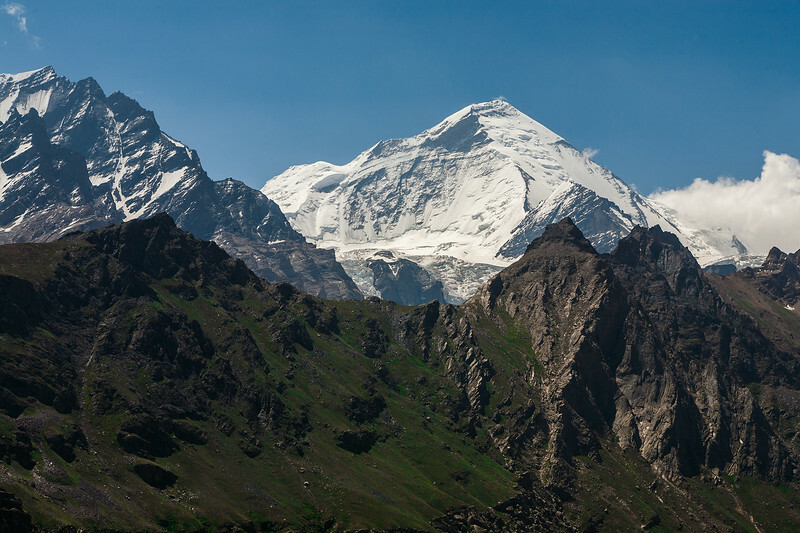 Much of the snow had melted when we saw it in the month of July, but it sill made for an interesting look especially with the mighty Himalayas surrounding it. 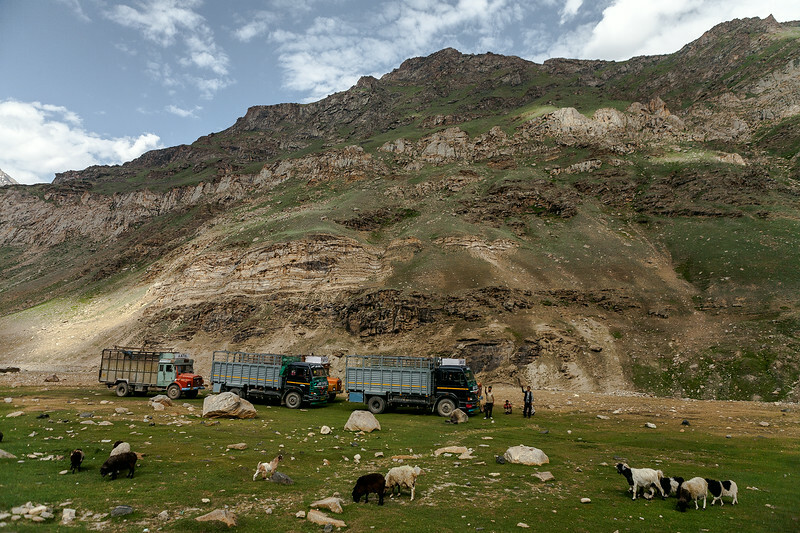 This picture was taken from a truck in which we travelled from Parkachik to Zanskar. 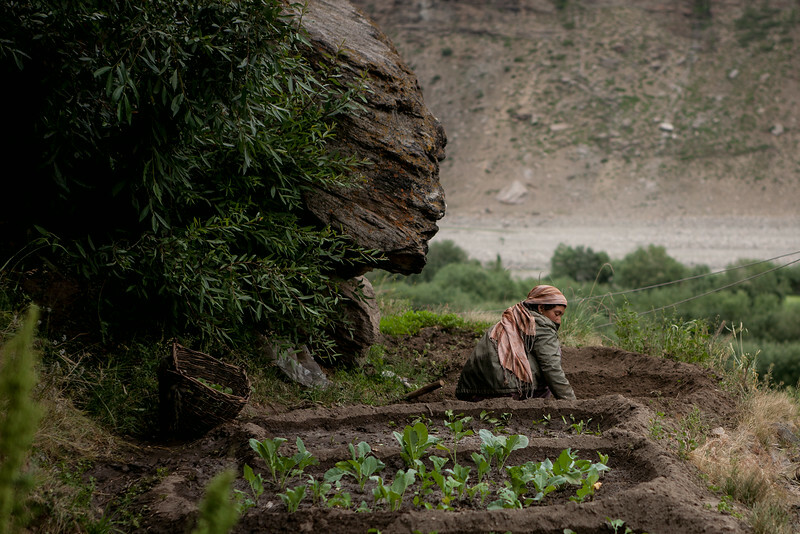 Summer is the only time the people of Zanskar have access to fresh local food. 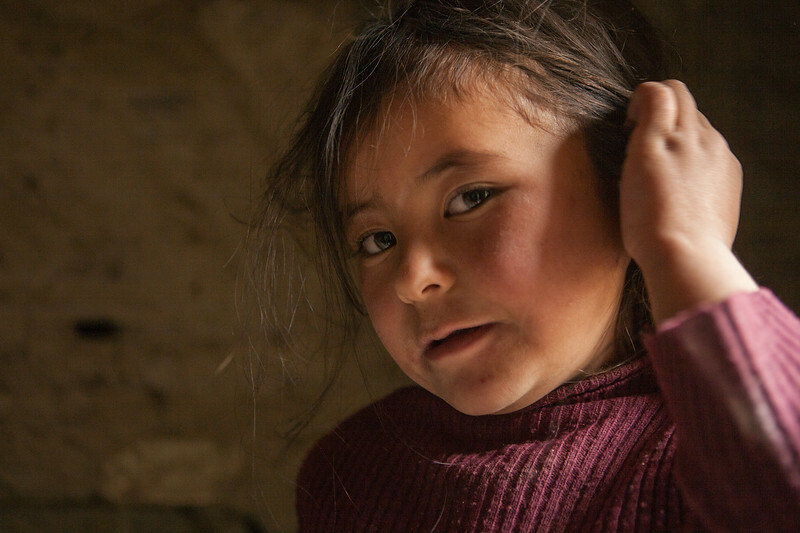 Every family in this region has a small farm where they grow vegetables like peas, carrots, potatoes and a variety of greens. 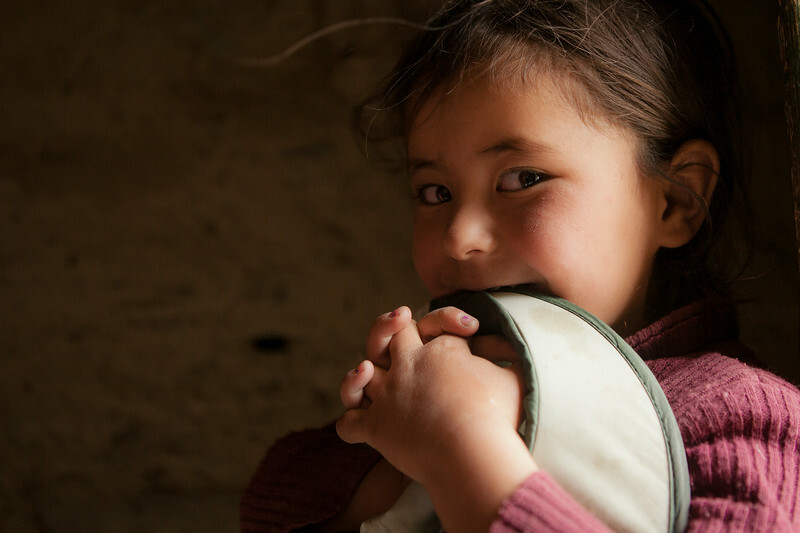 The family consumes what's needed . The rest is put to dry for use in the severe winter months. 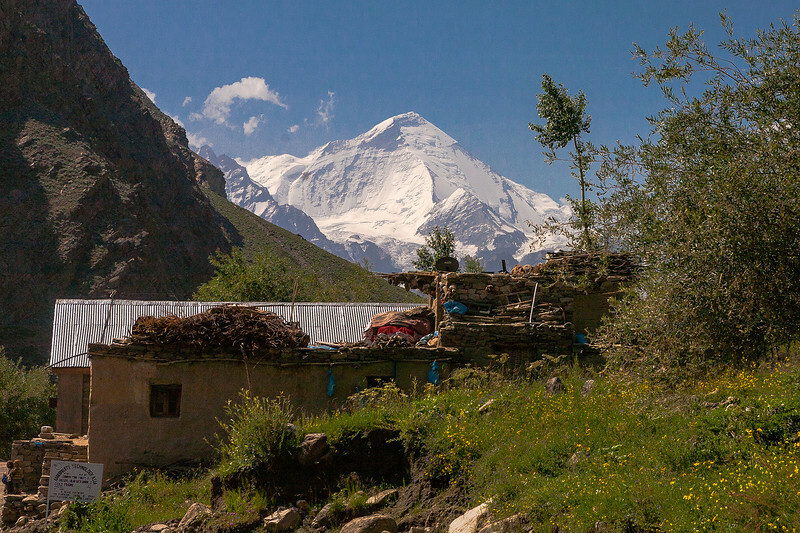 The twin peaks of Nun (7135m) and Kun (7087m) are the biggest and the highest attraction in the Suru valley. The contrast of the perennially snow covered Nun and the barren Kun add to the mystic of the place. 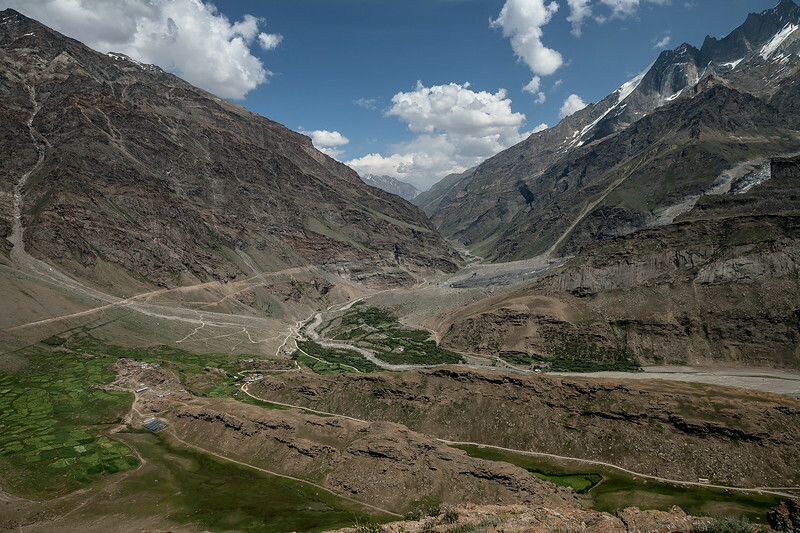 Suru valley stretches from Kargil right up to the Penzi la after which the Zanskar valley starts. 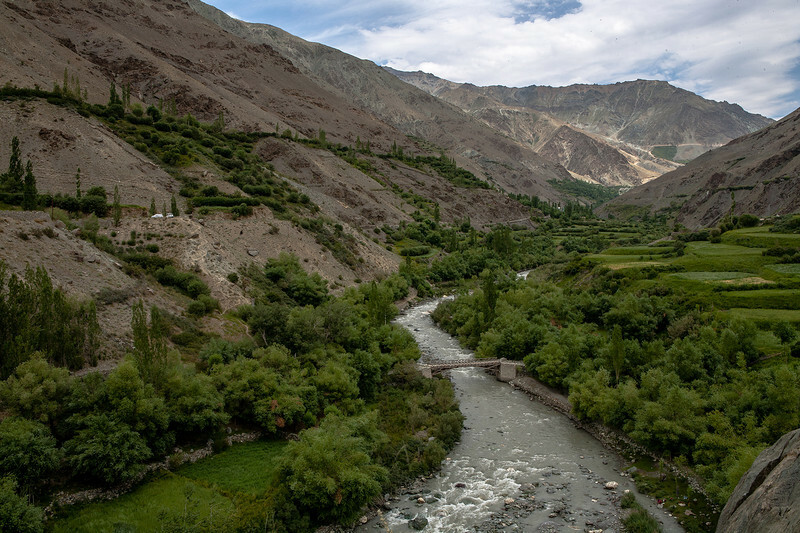 It is the greenest valley of the Greater Himalayas. 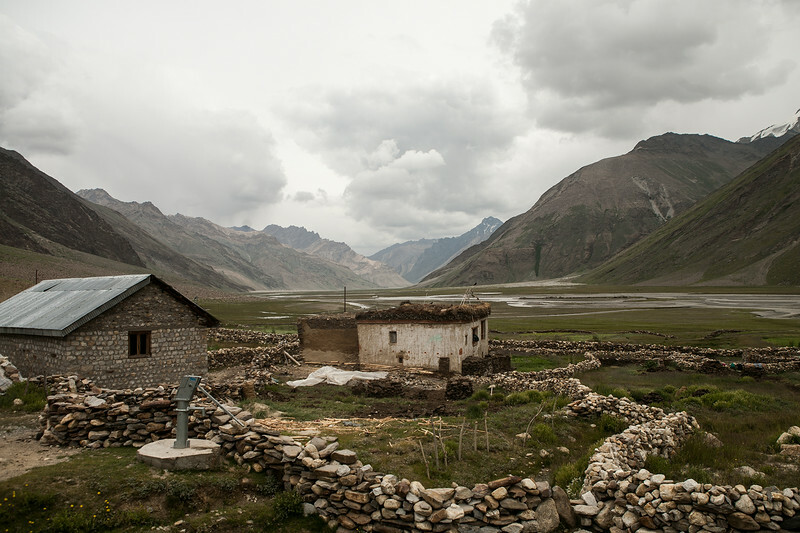 Every village in the Suru valley takes pride in the view it affords of the Nun and the Kun peaks. 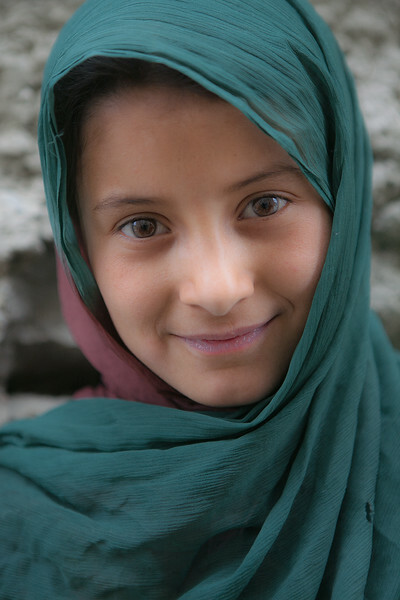 Panikhar is a village in Suru valley. 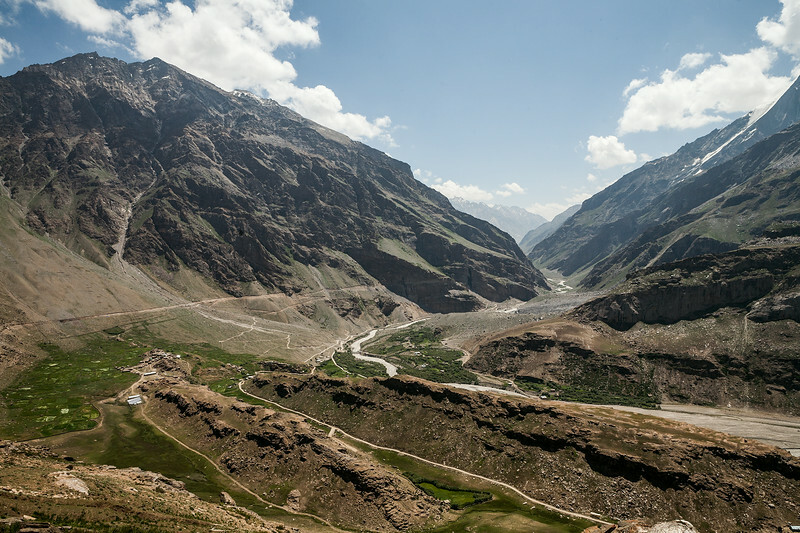 Suru valley stretches from Kargil right up to the Penzi la after which the Zanskar valley starts. 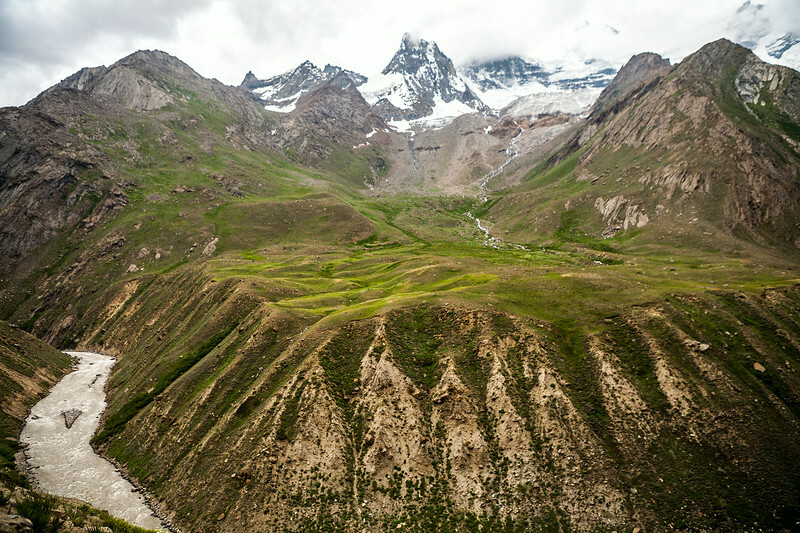 It is the greenest valley of the Greater Himalayas. 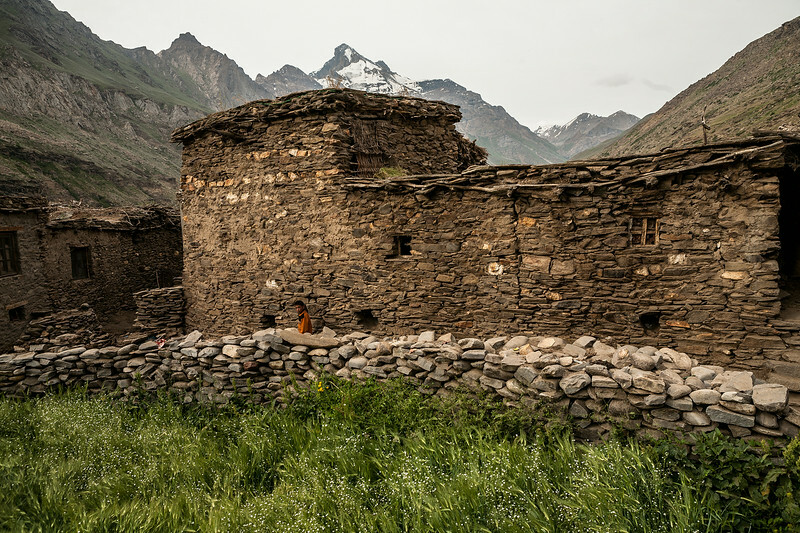 Every village in the Suru valley takes pride in the view it affords of the Nun and the Kun peaks. 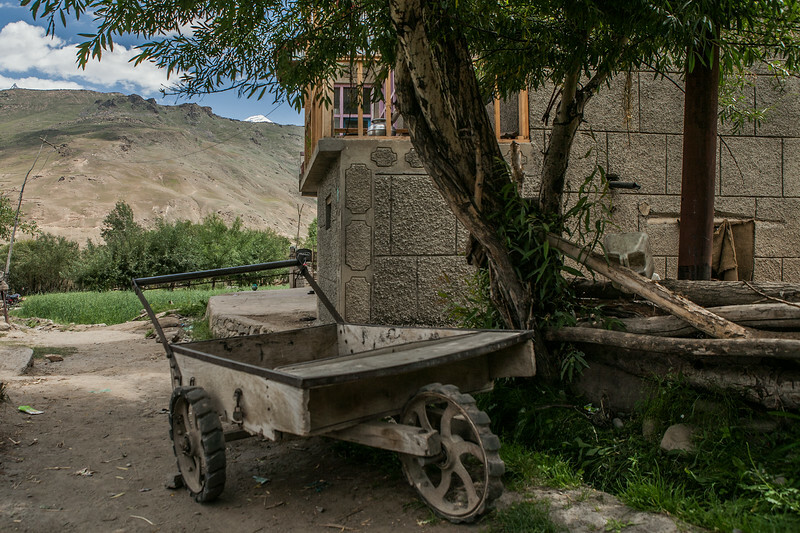 He was a laborer who stayed at Kargil and went to work in the smaller villages around Kargil. 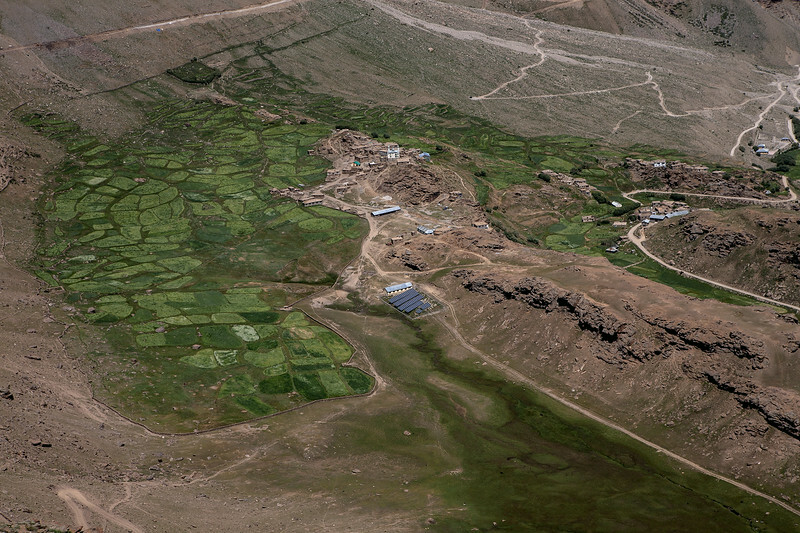 The summer months see a boom in construction activity in these areas which are snow clad in winter. 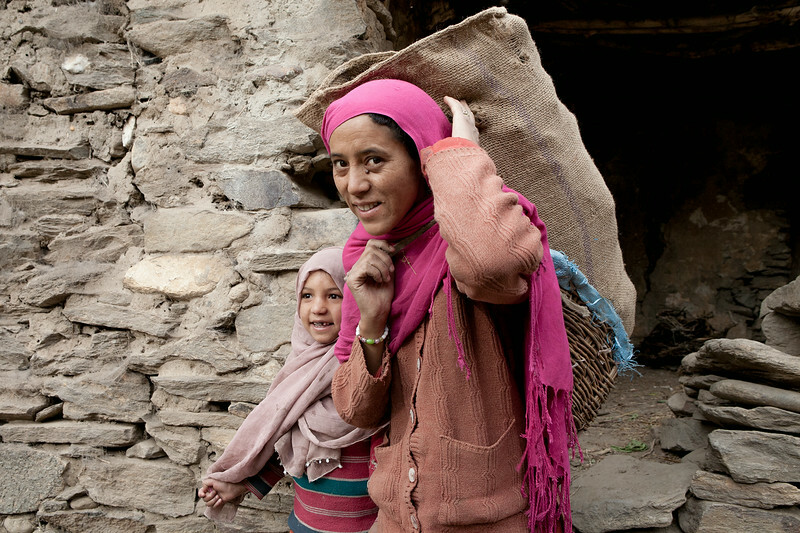 These laborers come from the poorer states in India, mostly from Jharkhand. 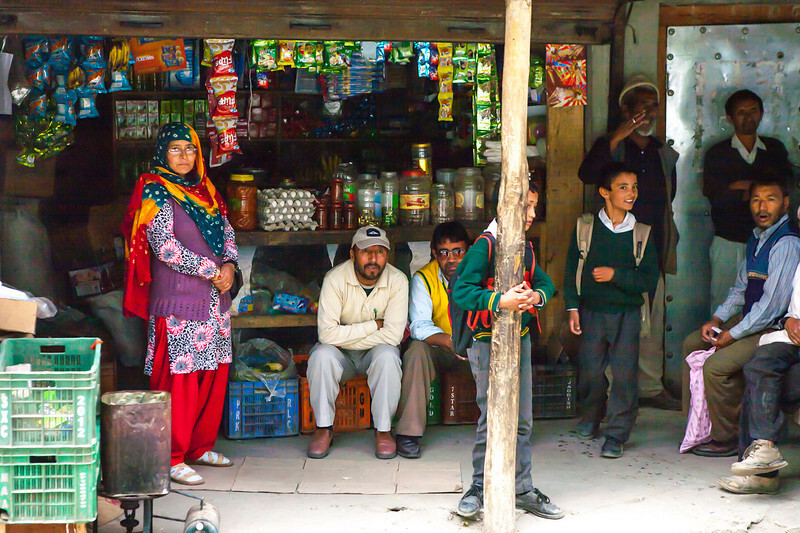 Every morning a bus popularly nicknamed "laborer bus" leaves Kargil early in the morning to drop these laborers to their respective workplaces. 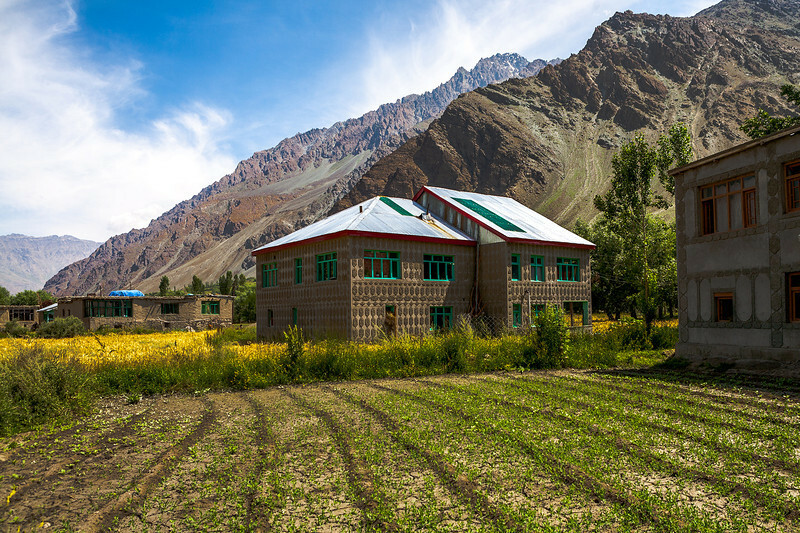 Around 40km after Kargil, Sankoo is a stepping stone to head deep in the Suru valley. 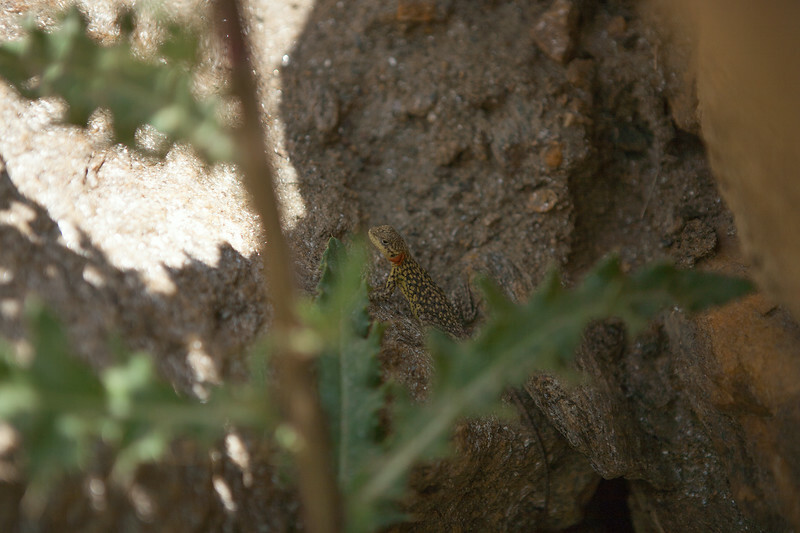 It is surprisingly green for its altitude, of over 3000mt, thanks to the Suru river that flows through it. 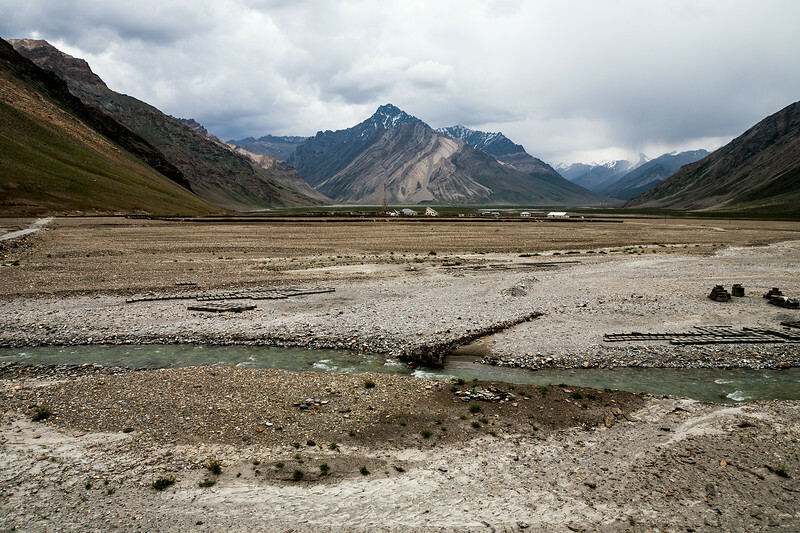 A zig zag road follows this river, crossing several bridges, as seen above, to cross the Suru valley through villages like Sankoo, Panikhar, Tangole and Parkachik, where suddenly, civilisation comes to a halt!